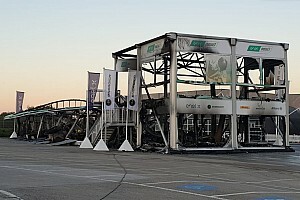 MotoE lost all 18 bikes it had prepared for the 2019 season, as the temporary building they were stored inside burnt down in the Jerez paddock on Wednesday evening. In a brief statement issued on Friday, the series revealed that the fire started as a result of a short circuit, a loop of electrical components which leads to extreme amount of current and consequently heat. The fire then spread to the flammable high-density battery. 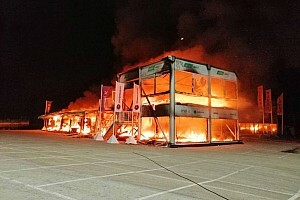 "Initial evidence regarding the cause of the fire at the E-paddock of the FIM Enel MotoE World Cup at the Circuito de Jerez-Angel Nieto on March 14 seems to point to a short circuit as the main cause of the incident," it said. "The source of the short circuit has yet to be identified but, once the fire broke out, it ignited the high-density battery which is part of the high-performance charger used at MotoE events. 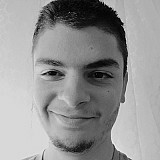 "The motorbikes were not connected to the charging infrastructure at the time the fire began." The 2019 MotoE season was set to begin at Jerez on May 5, but that round has been cancelled after the incident. Instead, the new series is now likely to commence at Le Mans two weeks after Jerez, followed by further rounds at the Sachsenring, Red Bull Ring, Misano and an as-yet unconfirmed fifth venue.